Subjects covered in the first five lessons include some interesting reading and listening comprehensions; great dialogues; an extract from Le Petit Prince; A new topic called Useful Sentences; Idiomatic language; Adjectives; Future Perfect Tense; Past Perfect Tense; and all the usual bits and bobs that you've come to expect. 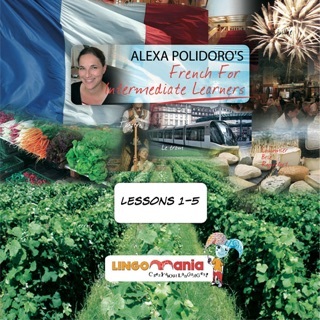 I've been a loyal student of Alexa from FFB 1-30 and I just got FFIL 1-5, reviewed some prior lesssons then went into lesson 1 of the interm. Simply the best! ...and as for Alexa, elle est tres, tres magnifique!... not to mention her French accent is enchanting when she speaks English! So, please Alexa, if & when you create your Advanced lessons, keep on speaking English!!! 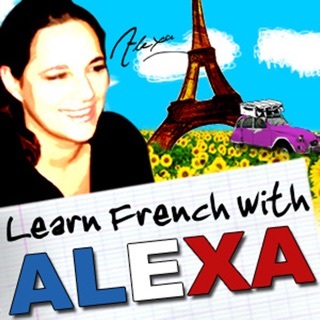 merci beaucoup, Alexa!! !